The Centre for Jazz and Popular Music will present the 31st annual UKZN Jazz Jol on Saturday, April 6, 2019. 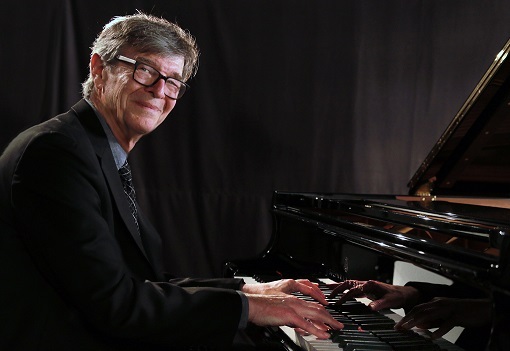 Traditionally scheduled for the 2nd half of the year, the event has been brought forward to accommodate a visit by Prof Darius Brubeck, who founded the Centre for Jazz and Popular Music, and which commemorates its 30th anniversary this year. In another break from tradition, the funds generated from the Jol will be donated to the Durban chapter of Amnesty International, instead of the Ronnie Madonsela scholarship. This is an appropriate way to recognize the support of the local community for student scholarship over these many years, and to thank them by donating the funds to newly-established chapters of Amnesty International at the UKZN School of Law, the Nelson Mandela School of Medicine, and six local schools to set them on the path, in their efforts to fight for human rights. Besides Prof Brubeck, the concert will feature the UKZN Big Band as well as a host of Durban-based alumni, including Melvin Peters, Sazi Dlamini and SKOKIANA, Andile Yenana, Debbie and George Mari, Mfana Mlambo, and Natalie Rungan. Anchoring proceedings will be bassist Ildo Nandja, who will be visiting from the Netherlands, where he is currently registered for his Masters degree in Jazz Studies and drummers Riley Giandhari and Bruce Baker. The 31st annual UKZN Jazz Jol takes place on Saturday, April 6, 2019 at 19h00 at the Centre for Jazz and Popular music (CJPM), Level 2, Shepstone Building at UKZN Howard College Campus. General admission R100 (R80 pensioners, R50 students with a student card). For more details contact Thuli on 031 260 3385 or email Zamat1@ukzn.ac.za for more details.